General Nutrition Center, more commonly known as GNC, is a retail chain that sells health and nutrition related products. These items include vitamins, supplements, minerals, sports nutrition, diet and energy products. They have stores as well as selling their products online through their own e-commerce site and on other popular websites. For more information on the GNC application, follow the link below. GNC was founded in 1935 by David Shakarian when he opened a health food named Lackzoom, a small store that was located in downtown Pittsburg and was able to open his second store within 6 months after. During the 1960’s when the health craze started in full force, the company was soon expanded to outside of Pittsburg. This company is currently headquartered out of Pittsburg, Pennsylvania. There are currently over 7,300 locations found across the United States and 49 other countries. Included in this number are store within a store locations found in Rite-Aid stores. They have about 13,800 employees and earned $2.63 million in revenue in 2013. 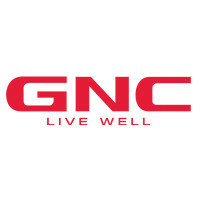 GNC has built its name in selling quality products to help improve the general health of its users. They sell a wide variety of health supplements to help people of all types including those looking to lose weight or those looking to bulk up or even those who just want to live a healthier lifestyle. They want employees who are passionate about health and knowledgeable about their products. There are a variety of positions available at both the corporate level and retail stores. This is a company that encourages growth and advancement among their employees. A retail store is a great place for a person start out and grow their job into a General Nutrition Center career. Some positions at the retail level include sales associate, assistant manager and store manager. The corporate office offers a wide variety of positions for a job seeker of any skill and talent to find a position that is a good fit for them. While there are some entry-level positions, most positions are higher level positions that require more to get a job. Some positions at the corporate office include human resources, marketing, and legal. The different positions at this company have a different set of requirements in order to gain employment. Entry-level positions may only require a high school diploma or equivalent to work here. Higher level positions may require a college degree and several years of experience. How old do you have to be to work at General Nutrition Centers? The minimum age of employment is 18. GNC offers very competitive benefits for their industry. Employee eligibility can depend on hours worked weekly and job title, as well as working at the corporate office. Some benefits include medical, dental and vision plans. They also receive life insurance, long-term and short-term disability, and employee discounts. These are only a few of the benefits offered here. The hours of operation can vary depending on location and holidays. Some holidays may cause store closures for either the full or half day. For more information, check your local store for details on store hours. In general, hours of operation are Monday through Saturday from 10:00am to 9:00pm, and Sunday from 11:00am to 6:00pm. Sales Associate- A sales associate is responsible for assisting customers on the store floor. They should have knowledge of the products in order to assist the customers in picking the right items for their needs. They will also assist customers out on the cash registers, handling customer transaction as well as answering phones. A sales associate may earn around $8 per hour. Lead Sales Associate- The lead sales associate is responsible for training new employees. They will also take over managerial duties when no other manager is on staff. The lead sales associate will also take on all of the usual sales associate duties including to ensure the store is properly stocked. A lead sales associate may earn around $10 per hour. Assistant Store Manager- An assistant store manager is responsible for assisting the store manager in running the daily operations of the store. They may help train new employees as well as help conduct employee reviews. They may also assist around the store when they are short staffed or busy. An assistant store manager may earn around $24,000 a year. Store Manager- A store manager is responsible for running the daily operations of their store. They will hire and fire employees as needed. They will also conduct job interviews for potential candidates. A store manager is responsible for their store’s budget, payroll, and inventory. They will also schedule employees. A store manager may earn around $31,000 a year. These are some questions that you may be asked during your General Nutrition Center job interview. Why do you want to work at General Nutrition Center? This question may require some research prior to your interview. The interviewer wants to see what you know about this company and what they stand for. Describe the values that you feel you share with this company and why you feel this makes you a good fit to work here. Do you take any nutritional supplements? The interviewer is looking to see if you take any products similar to what they sell. This tells them if you are familiar with these products enough to sell them. Be honest about any supplements you take. How do you stay healthy? This is a company that takes health very seriously. The interviewer wants to see if you live a healthy lifestyle. Mention any work outs you may do or if you go to the gym regularly, as well as mention any vitamins or supplements that you may take. Where do you see yourself in 5 years? This is a company that encourages their employees to grow with their company. The interviewer is looking to see if you are someone who will stay with the company. Discuss your future plans and how this company fits into your plan. Why should we choose you over the other applicants? The interviewer is giving you the chance to sell yourself to this company. Take this opportunity to discuss your strengths and how the company would benefit from them. Wondering how to apply at General Nutrition Center? You can apply directly online at General Nutrition Center jobs online by filling out an application form on the website. There are no downloadable applications online. There are no printable applications online. The easiest way to apply here is by applying directly online. This company has the job descriptions and responsibilities clearly stated on the website so that potential job seekers can find a job that is a match for their skills and talents. When filling out an application, be sure to fill it out completely and according to the provided instructions. You should also submit an updated resume along with your application to give a clearer view of your skills and experience. After applying at this company, you should hear back within a reasonable amount of time. If not, you can call up the company to check the status of your application and see if they are still hiring for that position. They may also provide additional information, such as when interviews are set to begin. You may consider preparing for your interview beforehand. You can do this by asking yourself potential interview questions and answering the aloud. This will help ease your nerves for your interview, which will allow you to be more confident and articulate. You should also remember to dress appropriately. This will help increase your chances of getting the job. Jo-Ann Fabrics: Use the Jo-Ann Fabrics job application to apply here. Vitamin World: Vitamin World offers opportunities for both, beginners and experienced roles. Spirit Halloween: Spirit Halloween offers opportunities for both, beginners and experienced roles. Sam Ash Music: Visit the Sam Ash Music application. QVC: See our resource page for more information on QVC careers.